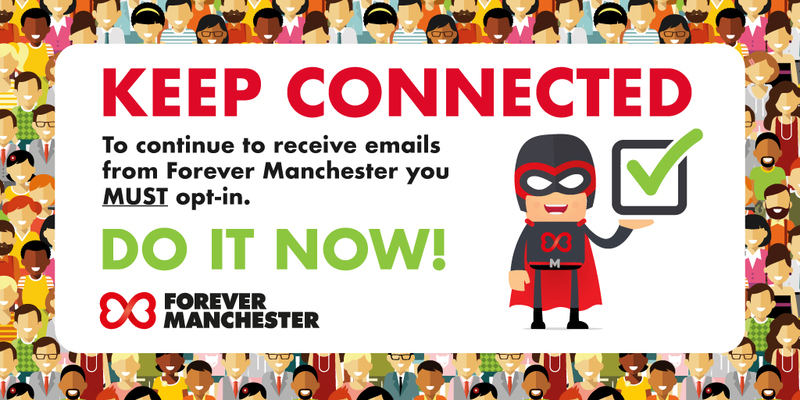 to continue to receive emails from Forever Manchester you MUST complete this form. A bit more information about the emails you will receive from us if you opt-in. Important Forever Manchester news …. On occasion we may need to share important information that we think you should know about. 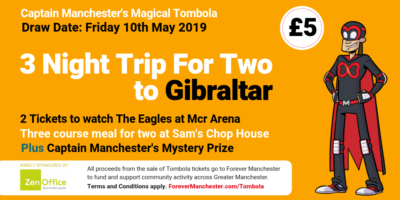 In order for us to continue to fund and support community activity across Greater Manchester, we have to raise money, so we will keep you informed about ways where you can get involved. We think it’s really important that you understand where your donations or money raised from fundraising goes, so from time to time we will keep you informed of some of the inspirational community projects we support. If however, you want to see for yourself who we have helped, simply head to the ‘where your money goes’ section on our website. You can unsubscribe at any time by simply clicking on the unsubscribe link in the footer of our emails.